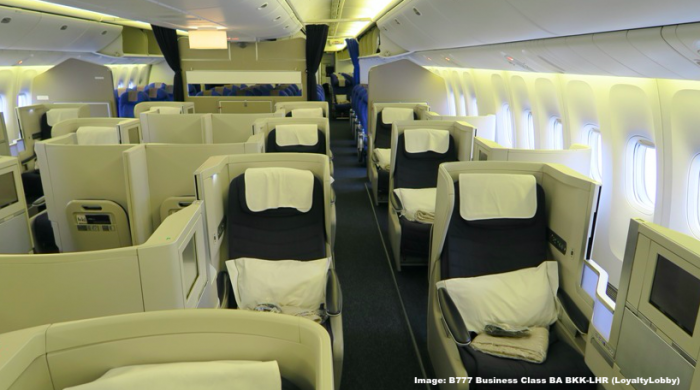 Our Whine Wednesday topic this week is about airlines that still squeeze passengers into middle seats even though they are booked in premium cabins, especially Business Class. Nowadays most airlines changed to a 1-2-1 configuration for their current generation Business Class but there are still plenty of carriers that don’t offer single seats and – even worse – have a 3/4 seater middle seating section. You would think that the competition forces airlines to constantly update their product and go with the times but that is definitely not the case. 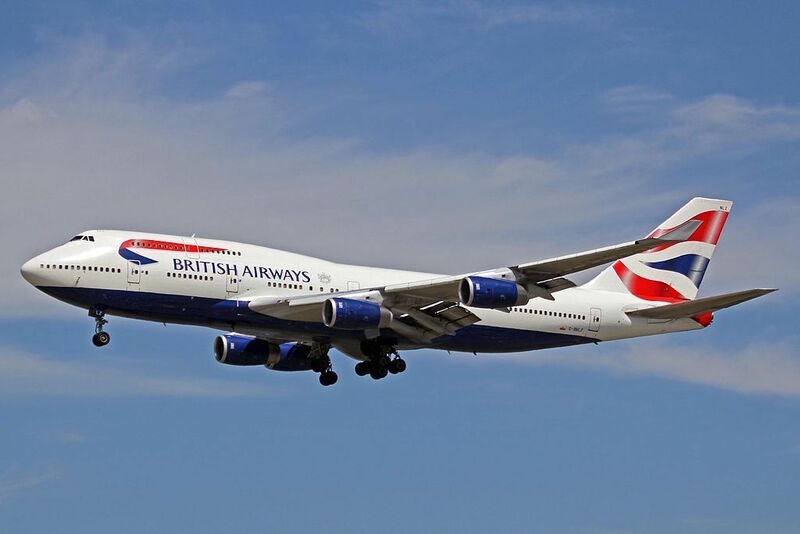 One of the worst offenders in this particular area has always been British Airways which – depending on the aircraft type – has FOUR seats in the middle section as well as a double seater on boat sides (in case of their B777). True slave ship style! My most recent flights in Business Class were with Lufthansa A380, Iberia A330, Qatar Airways B777 and Japan Airlines B777. With the exception of Lufthansa where the configuration was 2-2-2 all the other aircraft had a 1-2-1 seating available. 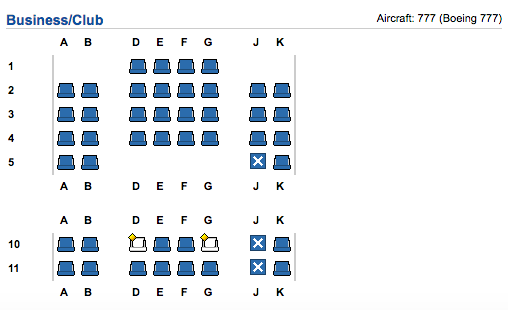 Whenever possible I try to select a single window seat, ideally 2A. 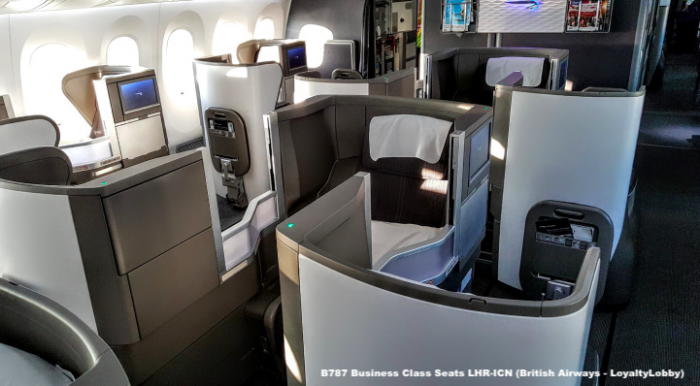 The two recent BA flights I had (see above BKK-LHR, LHR-ICN) I had one filthy Boeing 777 ex Bangkok with the aforementioned 4 middle seats and the newer Dreamliner to Seoul with three seats in the middle section. At least the way that BA designed their Club World seats each passenger has direct aisle access but I find the configuration way too tight. 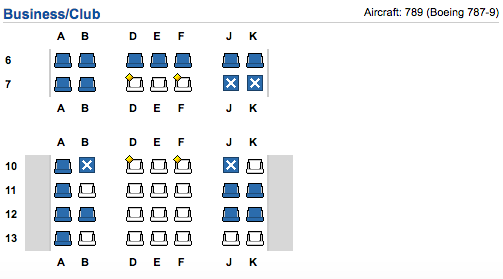 Premium Economy has middle seats at pretty much every airline that offers it and I think the economics of the aircraft and each flight wouldn’t allow for 2-2-2 seating configurations at the rather low price point of Premium Economy. It would take way too much space away to justify such an arrangement. Squeezing passengers into Business Class like sardines into a can doesn’t have anything to do with premium service. There are simply way too many passengers in the compartment and it feels congested. 4 passengers in a middle row next to each other is just insane during times when the competition has moved to 2-2-2 configuration. BA’s First Class has also way too many seats in the cabin but that’s a different story altogether as BA First is really just a premium Business Class. Next articleReader Question: InterContinental Royal Ambassador Downgrades?